Zodiac vector graphics inspired by Chinese astrology: rooster, rabbit, snake, horse, rat, monkey, dragon, goat, pig and other stylized animals with floral decorations. 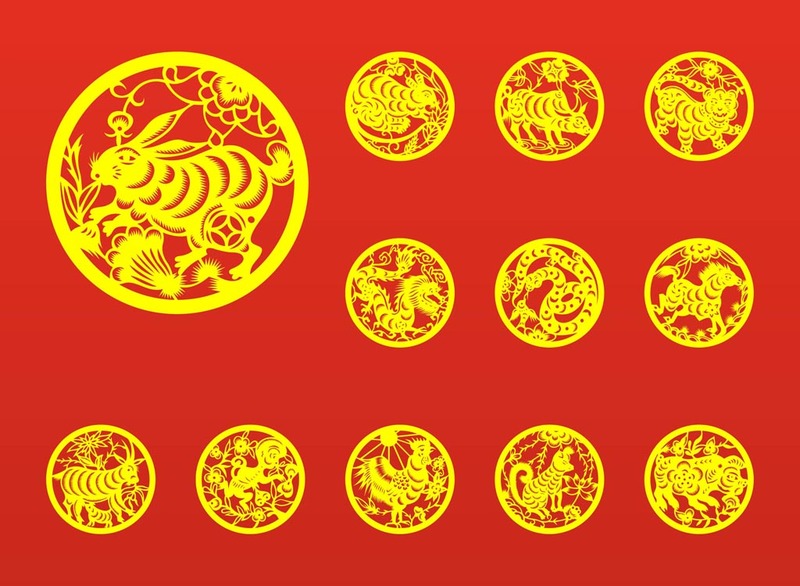 Download Chinese zodiac icons for free in Illustrator format. Creative Illustrator footage for your Asia, oriental astronomy, philosophy or calendar designs. Tags: Asia, China, Dragon, Horse, Monkey, Rat, Snake, Zodiac.